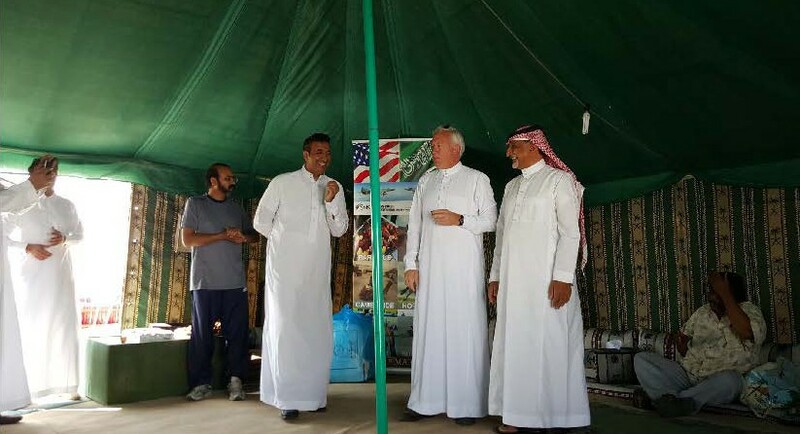 In support of Team BlueForce, the S&K Aerospace Eastern Province Branch hosted “a day in the Saudi Desert.” The purpose of the event was focused on team building and cultural awareness as well as just a fun day. Events included camel rides, horseback riding, 4-wheelers, and traditional clothing and food. Foreign companies like BlueForce that are looking to expand into the Middle East work with S&K Aerospace and our Personnel Support Services. The S&K Aerospace, led by Mr. Saleh Al-Ghamdi, first welcomed the BlueForce personnel to Saudi Arabia. Mr. Ali Al-Jamil provided cultural insights into Bedouin life and the entire team spent the day helping the group get accustomed to Saudi life. The Bedouins are an Arab semi-nomadic group, descended from nomads who have historically inhabited the Arabian deserts. Their name means “desert dwellers” in the Arabic language. Bedouins were traditionally divided into related tribes and, not unlike Native American tribal members, many Saudis retain their traditional Bedouin tribal culture through music, poetry, dances, and many other cultural practices. S&K Aerospace employees welcome the visitors (L to R): Ali Al-Jamil and Omar Khoza’e welcome the BlueForce PM—Les Lunceford. The traditional Bedouin “dress” is a thobe (also spelled thawb which is the standard Arabic word for a “garment”). These garments are loose and require little maintenance; very practical for the nomadic lifestyle. 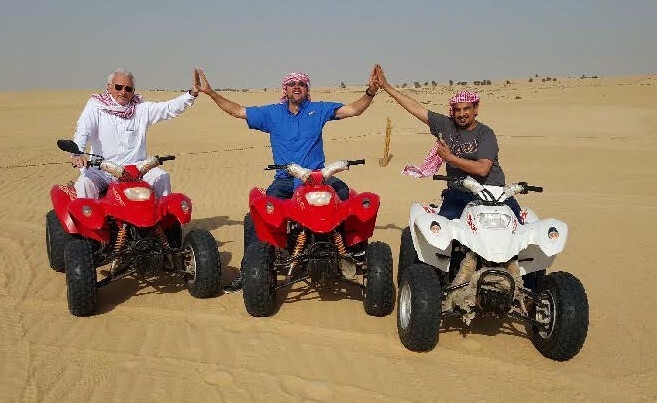 Photos: The BlueForce team enjoys a fun day in the desert, including ATV, horse, and camel rides, fine food, and teambuilding exercises.